Moisture has been spotty across most of the northern Great Plains this spring. Couple that with a relatively open winter and you have a recipe for drought conditions across the region. History shows that drought is common in the northern Great Plains; and being prepared for drought needs to be part of your normal management planning. Drought management must be an active, not passive process. If you adopt a “wait and see” attitude, you will find your options for managing and effectively dealing with drought are limited. •	Precipitation in any given month is not necessarily indicative of the next month’s precipitation. •	If spring precipitation is below normal, total annual precipitation tends to be below normal. •	Precipitation in April and May is the primary factor affecting forage production. •	By July 1, grass production will reach 79 percent completion in two of three years. •	In 19 of 20 years, grass production will be at least 65 percent completed by July 1. These facts mean that you can do a lot of drought mitigation planning and implementation by observing precipitation patterns early in the growing season. Earlier implementation generally means a more effective response. Being proactive in your planning leaves you additional options if drought conditions worsen throughout the summer. Average annual precipitation generally increases as you move from west to east across the Great Plains. The climate in Miles City may be a bit drier than in your area; however, our forage base in the northern Great Plains is largely dominated by cool season native rangelands, and our precipitation patterns (when we get rain) are similar. Following are some drought mitigation strategies. It is important to remember that your individual situation will be unique. Consider your strategies in light of your resources (land, labor, capital, cow herd, etc. ), as well as risk tolerance, financial position, and management ability. Over the long term, reducing stocking rate is probably the most reliable drought management strategy but it has obvious financial impacts. 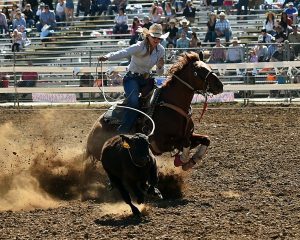 It can be accomplished in a number of different ways, including: 1) selling yearlings or placing them in a feedlot, 2) culling less productive pairs, 3) moving cattle to other pastures, and 4) early weaning. If you have yearlings or stocker cattle, a simple drought management solution is to use them as a forage and drought management tool. During wet years, yearlings are utilized to consume excess forage, but during drought years when forage production is lower than expected, they are sold or placed in a feedlot. This system frees up pasture for the cow herd. 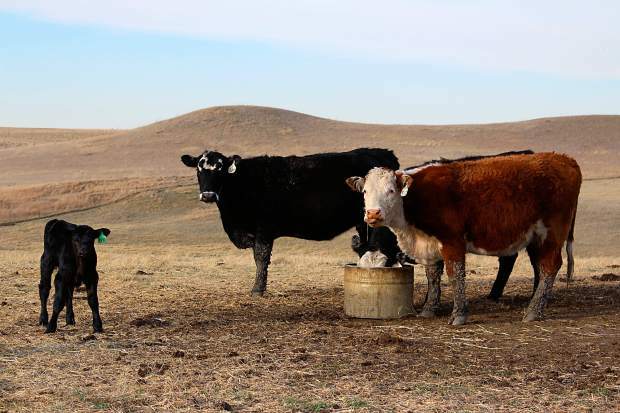 During widespread drought, cow culling typically increases, resulting in lower prices for cows at a time when you can’t necessarily afford low prices. Yearlings are easier to market during these types of events and this strategy reduces the long-term impact on your breeding program and keeps genetic and selection programs within the cow herd intact. However, widespread drought conditions will have negative impacts on the yearling markets as well. Early weaning can be strategically implemented by keying on select classes of the herd that may be candidates for early weaning, such as first- and second-calf cows or older cows slated for culling in the near future. At any rate, the reduction in nutrient requirements for the cow which occur by weaning and removing the forage demand of the calves from the pasture can result in an effective way to stretch pastures during light and moderate drought conditions. Long-term management options for dealing with dry conditions require an approach that includes conservative and/or flexible stocking rates. The plan needs to take into account a myriad of economic factors that can influence the decision. These include market prices for livestock, feed prices, transportation costs, and future prospects related to restocking. These are complex and inter-related factors and the solutions must make biological and economic sense for your particular operation. Over the long term, decisions need to take into account the long-term health and sustainability of native rangelands and pastures. Don’t sacrifice long-term productivity of your native rangelands for short-term decisions to hold on to cattle too long. This is particularly important during multi-year drought conditions. Native rangelands, when properly managed, are very resilient. However, they cannot maintain productivity through multiple years of drought mismanagement. In order to maintain long term health and sustainability, you must actively manage the resource and this involves reducing stocking rates to proper levels as dictated by moisture conditions. Prior to the biofuels era, there was more emphasis on drought management strategies which included buying supplemental feeds and forages and transporting cattle to other regions of the country. However, rising feed and transportation costs have altered that decision to some degree. In addition, we now operate in an era of greater volatility and risk. Make drought management decisions with that in mind. Remember that drought mitigation strategies and your economically viable options are always in a state of flux. Input costs, cattle value, and net returns from various options and scenarios vary from year to year. Given the value of cattle today relative to feed and transportation costs, some short-term management solutions (e.g. supplemental feeding, renting pasture in other parts of the country, drylotting cows, early weaning, creep feeding) may be viable in some years but not others. Since each ranch is different and every market situation is different, a careful analysis of your individual options from a cost and revenue standpoint is important. There are no simple drought management solutions. There is no ‘Silver Bullet’ solution to a complex management issue. However, planning and implementing appropriate strategies can have a positive effect on both the short- and long-term health and condition of your native rangeland and, ultimately, the economics of your ranching operation. Greg Lardy is the head of the NDSU Animal Science department.